Mr. Charles “Ronnie” Roland Davis, age 81, of Mt Airy, passed away on Thursday, April 11, 2019 at Forsyth Medical Center in Winston-Salem. 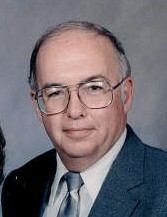 He was born on May 15, 1937 to the late Joseph Paul and Mary Ann Helton Davis. Mr. Davis retired Sergeant from Surry County Sherriff’s Department after 30 years of service. Mr. Davis also served our country in the U.S. Army as a track vehicle mechanic. Left to cherish his memories are his wife of 62 years, Helen Davis of the home; daughter and son-in-law, Rhonda and Stanley Boles; grandchildren, Amanda Draughn and husband Jacob, Evan Boles; sister and brother-in-law, Brenda and Sonny Westmoreland. In addition to his parents Mr. Davis was preceded in death by brothers, Gary and Tommy Davis. A graveside service will be held on Tuesday, April 16, 2019 at Skyline Memory Gardens at 2:00 PM with services conducted by Rev. Larry Phillips. Honors will be provided by the Surry County Sherriff’s Office Honor Guard. The family will receive friends from 12:30 until time to leave for the service at Moody Funeral Home in Mt Airy.